We are excited to invite you to join Loch and friends at the inaugural Mindfulness at Work Summit, an online gathering dedicated to the application of mindfulness in the workplace. 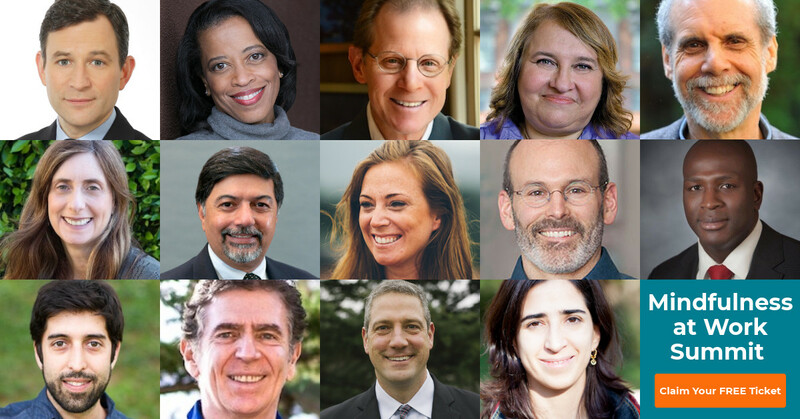 This new event features sessions with 56 renowned meditation teachers, best-selling authors, pioneering scientists, executives & directors from F500 companies, nonprofits, and government institutions. Click here to register for the online Summit at no cost. At the event, you’ll learn how mindfulness can help you become a better leader, transform your workplace, improve your team’s health & performance, and feel more fulfilled at work. You’ll discover the latest tools, techniques, and strategies from this diverse group of renowned experts that have never been gathered together before. How to introduce Mindfulness at work and win over skeptics? How to lead with focus, clarity, and authenticity? How to increase productivity and wellness in the workplaces? How to create a collaborative, innovative, and empowering culture? Sessions will be filled with key takeaways, tips, and practices that you can apply immediately. Sharon Salzberg Co-founder, Insight Meditation & Best-Selling Author, "Real Love"
Congressman Tim Ryan Best-Selling Author, "A Mindful Nation"
Check out the entire lineup of 56 presenters here. For anyone who is committed to bringing mindfulness into their workplace, becoming a Mindful Leader, or applying mindfulness to their profession this is a must-attend event. Whether you are new to mindfulness or a deep practitioner, join us to learn how to amplify your impact, energize your team, and be the change you wish to see at work. Loch Kelly, author of the award-winning book, Shift into Freedom: The Science and Practice of Open-Hearted Awareness, offers simple maps and transformational tools that you can learn in a weekend and practice at home. Register today and get instant access to 5 free keynotes from the Mindful Leadership Summit click here now. Spread the goodness - click here to share with your colleagues, your boss, your employees, they will thank you later.